My students are absolutely LOVING our stamping center. 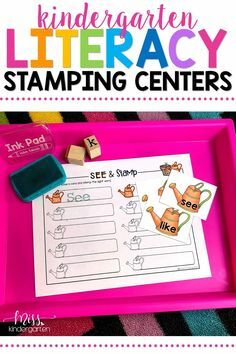 Something about stamps and ink pads are just so enthralling 😉 Have you seen the self-inking alphabet stamps that Kristin from A Teeny Tiny Teacher shared about?! They’re pretty awesome! 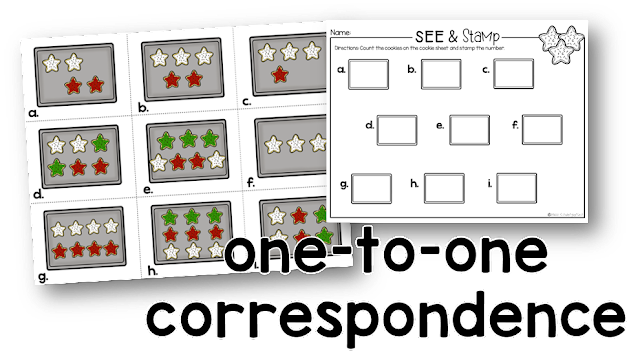 I just uploaded my See & Stamp centers for December and I wanted to share all the fun with you! 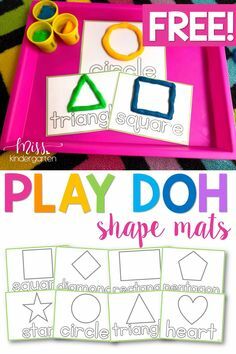 This resource includes 4 literacy centers and 4 math centers! 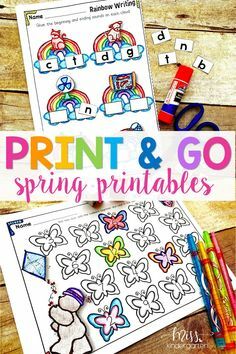 The lowercase letter center includes two printables. The students can either practice alphabetical order, or beginning sounds. They will choose a letter, stamp it on their paper and then draw a picture of something that starts with that letter. This one is definitely a favorite! Students will choose a present card and read the word on the tag. 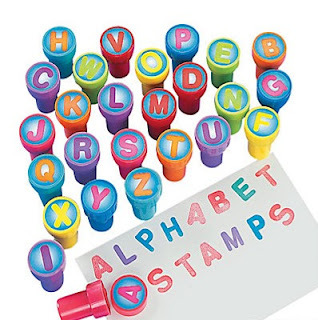 Then they will use their alphabet stamps to spell out the word. More CVC words and beginning sounds practice! This time they will either stamp the first sound they hear in the word or all the sounds, depending on their abilities at this time of year! 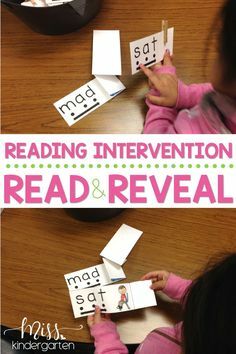 I’ve also included 27 sight words to read and stamp, but if you have different words, do not fret! I included an editable PowerPoint file where you can type in the words you need! For this math center, the kiddos will choose a number card and stamp the number. Then they’ll stamp the number that comes before and after it. We just started working on addition to 5 so some of my kiddos are definitely ready for this center! I also included a recording sheet just for the sum to differentiate for my littles that aren’t quite ready to make number sentences on their own. I also included a count and stamp because this is a skill we always need to practice! I included visual patterns for my students who are able to mentally group and add. I just love making these each month! 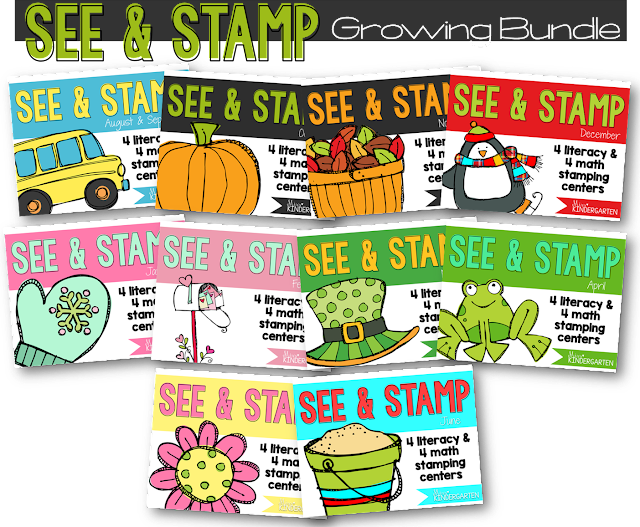 If you love them too, you can view my See & Stamp Growing Bundle here! As I make a new set each month, I add it to the bundle! Soon it will include centers for each month of the school year! It is discounted as it grows!